The Armstrong Whitworth AW.15 Atalanta was a 1930s British four-engine airliner built by Sir W.G. Armstrong Whitworth Aircraft Limited at Coventry. 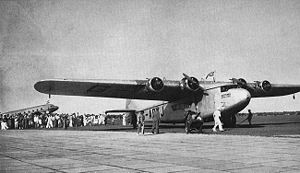 The AW.15 Atalanta was designed to meet a 1929 Imperial Airways requirement for an airliner to operate on its African lines. The specification called for an airplane capable of carrying nine passengers, three crew and 1,000 lb (450 kg) of freight over 400 mi (640 km) at a cruising speed of 115 mph (185 km/h) at 9,000 ft (2,740 m). The prototype, G-ABPI, was named Atalanta and first flew on 6 June 1932, flown by Alan Campbell-Orde. The Atalanta was a high wing monoplane, powered by four 340 hp (250 kW) Armstrong Siddeley Serval III engines. Its composite construction included steel, plywood and fabric. The undercarriage was of the fixed type, but was cleanly streamlined to minimize drag. The overall design of the aircraft was rather modern, and somewhat closed the performance gap that existed between British and American airliners. The aircraft had very few design flaws and any teething problems were quickly overcome. The prototype was flown to Croydon Airport for acceptance by Imperial Airways, and on 26 September 1932, it flew a commercial service from Croydon to Brussels and Cologne. The Atalanta was capable of carrying up to 17 passengers, but Imperial Airlines limited the seating to nine passengers for the planes operating the Indian route and 11 passengers on those operating the African route. On 20 October 1932, the prototype was damaged in a test flight due to fuel starvation. Imperial Airways was embarrassed by the accident and renamed the third production machine (G-ABTI, Arethusa) as Atalanta, hoping nobody would notice the swap. Imperial Airways ordered eight aircraft which had all been delivered by 1933. The first service was flown from Croydon Airport to Brussels and then Cologne on 26 September 1932. The prototype G-ABPI left Croydon Airport on 5 January 1933 on a proving flight to Cape Town, South Africa. Three other aircraft joined it in South Africa to fly the service between Cape Town and Kisumu, although they proved to be too small for the traffic. On 1 July 1933, an Atalanta flew the first direct air mail service between London and Karachi. Two Indian-registered and two British-registered aircraft operated a Karachi-Calcutta service with was later extended to Rangoon and Singapore. On 29 May 1933, G-ABTL flew through to Melbourne, Australia (arriving on 30 June) on a route survey flight. Three aircraft were lost before the Second World War and the remaining five aircraft were taken over by BOAC. 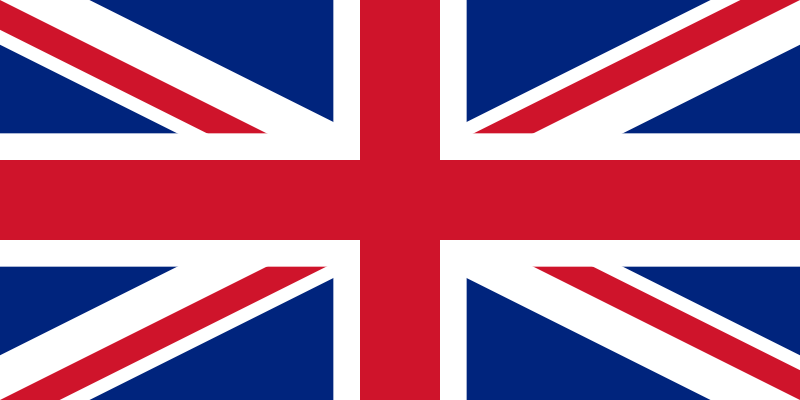 In March 1941, they were impressed into use by the Royal Air Force in India. They were later handed over to the Indian Air Force for use on coastal reconnaissance duties, armed with a single .303 in (7.7 mm) machine gun operated by the navigator. The last patrol was flown on 30 August 1942 and the four survivors were withdrawn from use.